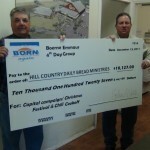 The Boerne All Faith CHRISTmas FESTival and Chili Cook-Off was a tremendous success! The community came out in a big way! Remember all of the proceeds from this event were to be donated to HCDBM for our Capital Campain, Share in the Harvest. Well the numbers are in, and WOW are they big. The donation was $10,127! 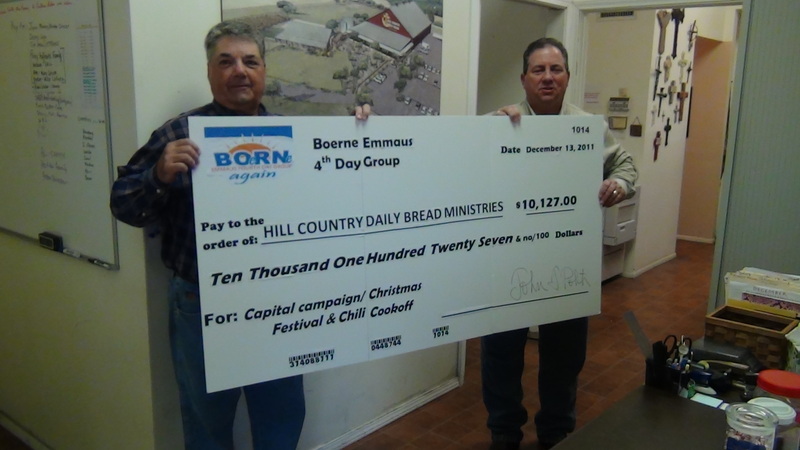 A HUGE thank you to the Boerne Emmaus Group for their commitment to community and their donation to HCDBM!